Here are some cards I made for graduations. This one I entered into a Stamp technique competition. This was made using Stampin' Up Pool Party paper, Stampin' Up inks Soft Sky, Pool Party and Marina mist. I also heat embossed the "WOW!" with holographic embossing powder, which you can't really see on this picture. 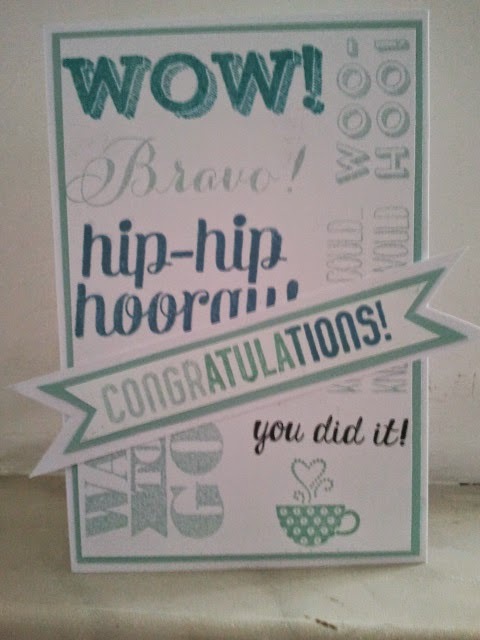 I used the SU stamp set "Bravo" and the retired SU set "Patterned Occasions". The "Congratulations!" was done using the Hombre stamping technique. 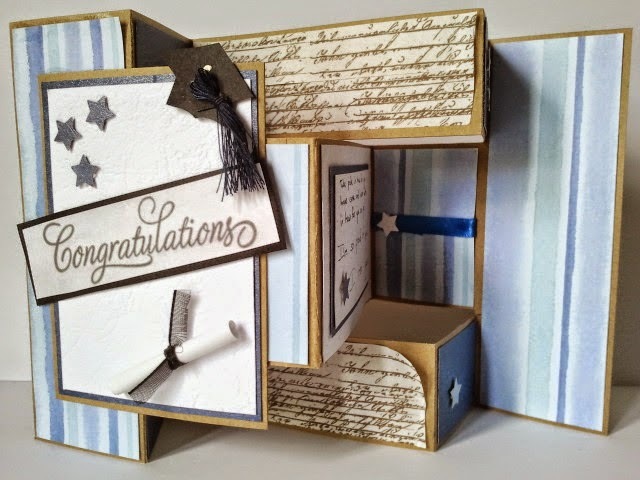 This fun graduation card is really funky but simple. You could put some money behind the "Happy Graduation" part (there's a slit there for money, only we didn't end up giving money, haha) I made the tassel with yellow sewing thread. I also heat embossed some gold around the "Congratulations" banner. This card you've already seen, again, I made the tassel myself and diploma is merely a rolled up label sticker. I used my favourite washi tape (and you can see it started coming off a little :s) and forever friends design paper.